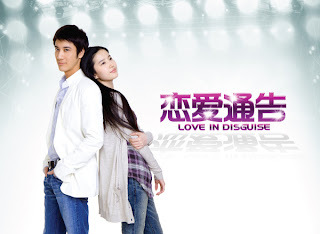 Used as the theme song in Lee Hom's movie, Love in Disguise [戀愛通告], i found the lyrics of this song to be very true of the situation that i'm facing now, especially the first sentence of the chorus that goes "You don't know why I had to leave you". It's never easy breaking up, especially if you're the one who initiates because you will often be viewed as the person who do not care about your partner's feelings, just like the main guy character in the movie. I've included the lyrics and the English translation as well, thanks to sunset2712 for the translation, as Google translate was a huge disappointment on the translation part. Do enjoy the song! But how many of it will touch the ground? I hope that this song would be able to reach out to you and somehow mend the broken hearts.